The Women’s Chic Knicker from Castelli is equipped with soft, insulating, and lightweight Thermoflex, ensuring your legs are sufficiently nestled yet nimble for cool - but not too cold - weather cycling. 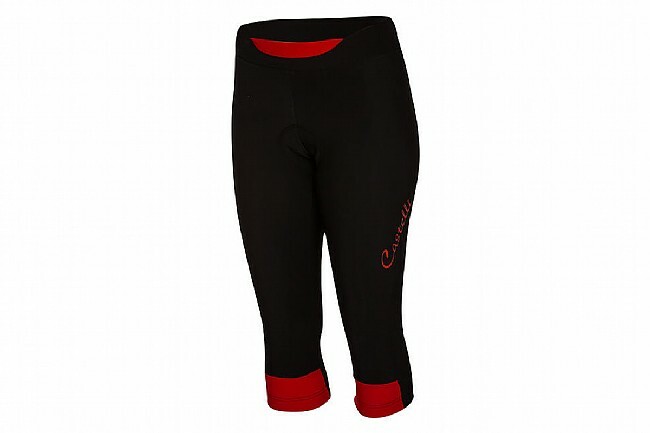 Castelli’s plush, Thermoflex fabric is soft against the skin and stretchy for a glove-like, ergonomic fit. 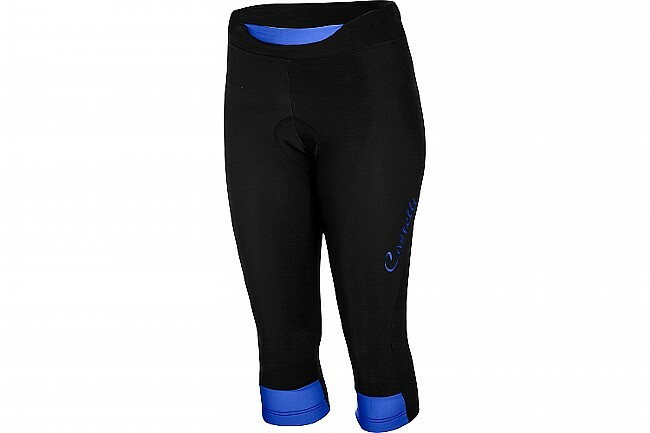 The waistband features soft, double-layered construction to ensure you’re never constricted and uncomfortable. While lightweight, Thermoflex yields impressive insulation and moisture management. As the body warms and perspires, Thermoflex traps a layer of warm air against your skin for long-lasting insulation while transporting moisture to the surface where it rapidly evaporates to regulate your body temperature and maintain optimal dryness. For all-over comfort and enhanced ergonomics, the knees embody an articulated design and an extra layer of fabric. The articulated construction mirrors the natural bend of the knee for a more comfortable fit and increased freedom of movement. An additional layer of fabric around the knees ensures adequate joint protection - a necessity in cycling when the temperature drops. The Women’s Chic Knicker comes with Castelli’s KISS Air seat pad, featuring a brushed microfiber, seamless top layer with antibacterial treatment to help prevent saddle sores. Its anatomically mapped shape and dual density foam of varying thickness - thicker in the sit bone region and thinner along the edges - provides optimal cushioning throughout the chamois.